If Jiminy Cricket, the symbol of Pinocchio’s conscience, were real, he’d likely have mixed feelings about entomophagy, or eating insects. Insects make up part of the dietary habits of an estimated 2 billion people globally, and experts say hopping on that bandwagon may help save the world. According to the pro-insect eating Food and Agriculture Organization 2013 report, “Edible Insects: Future Prospects for Food and Feed Security,” insect protein is recommended as one of the most sustainable forms of animal protein available. 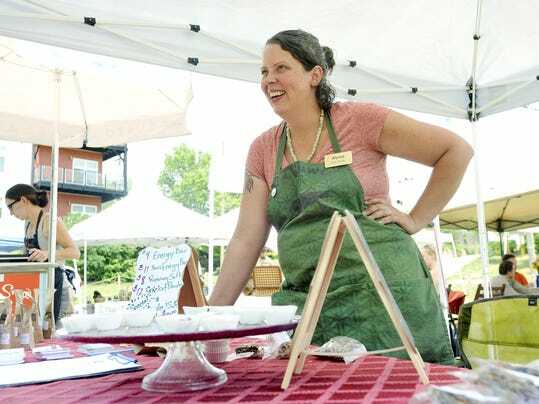 It’s the latter that 35-year-old Alyssa DeRonne, Asheville mother of three, uses in her protein bars and other food items she sells through her company, LaViewEye. Also known as the Cricket Girl, DeRonne said cooking with crickets is something she wants to do for the planet and its people. “I am not a fan of the word ‘superfood’ because it’s so trendy but, if you’re going to call anything a superfood, a cricket would be it,” she said.